Pirate Power's Mission is to provide comfort and to act as mentors and advocates for families struggling with the heartbreak of prematurity, infant and pregnancy loss. We provide NICU Comfort Bags to families with infants in the Neonatal Intensive Care Units of local hospitals. We also provide Baby Loss Memory Kits for those who have experienced pregnancy or infant loss, upon request. Pirate Power raises funds for the March Of Dimes in their annual March For Babies Campaign. 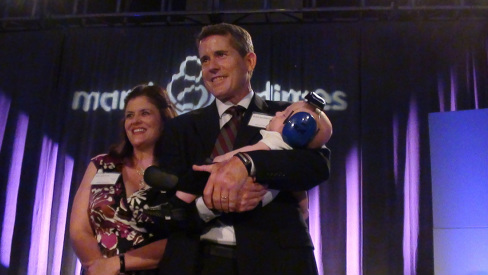 We have raised over $130,000 for the March Of Dimes since 2011!